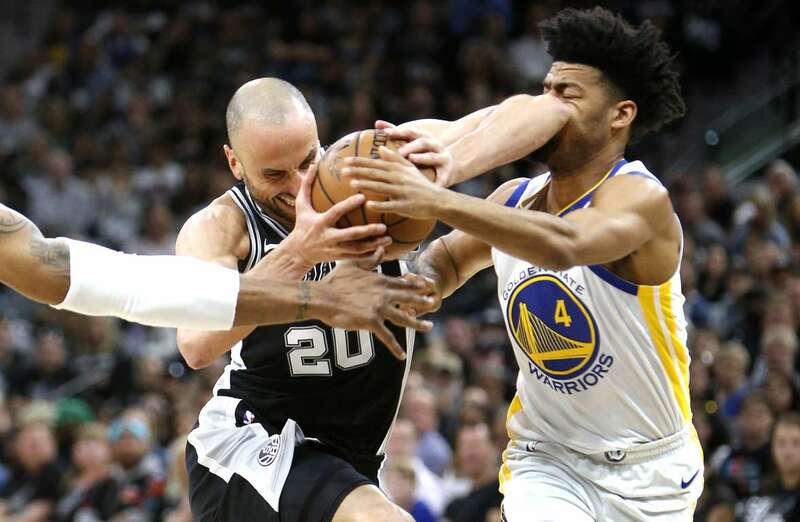 Manu Ginobili of the Spurs drives on Quinn Cook of the Warriors on Sunday in San Antonio, Texas. The Spurs won 103-90. Photos - U.S. Daily News: Ouch!